Every CPO Mazda comes with two warranties. The first is a 12-Month/12,000-Mile warranty that extends the 3-Year/36,000-Mile warranty standard on brand new Mazda vehicles. This warranty gives you a zero out-of-pocket deductible on covered repairs. The second warranty is a 7-Year/100,000-Mile Warranty covering all major components of the powertrain, including the drivetrain, engine and transmission. The CPO Mazda program includes 24-hour emergency roadside assistance. The assistance comes in the form of flat tire changes, gas delivery, lockouts, jump starts and towing to the nearest Mazda dealership, no matter where you are. 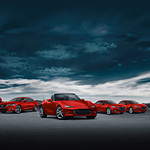 Stop by Napleton's Schaumburg Mazda today to test drive a CPO Mazda today.